The world of Disney – the “magic kingdom” – has a special place in the hearts of many children and adults. Disney has so many unmistakably recognizable characters, and has a long history of creating toy versions of its big-time movie hits. Here are some of the most valuable classic Disney collectibles around. All of the dwarfs from the classic Disney movie Snow White are here in figurine form. Dating from the 1960s shortly after the iconic Disney version of Pinocchio hit the silver screens, this is a complete store-display set of figurines based on the classic fairy tale that Disney transformed into one of its best-known movies. These super rare porcelain ceramic 10-piece set have the famous dogs from Disney’s 1960s classic 101 Dalmatians. This set was one of the only of its kind to be sold at Disneyland. Another timeless Disney movie character turned into what is now a collectible figurine, this piece features Cinderella dancing with mice and birds from the film. This 6” statue was made in 1947 and is part of a Snow White set. Sold back in 1951 for the premier of the movie, this character from Alice in Wonderland has been turned into a functioning teapot – a hot (pardon the pun) collector’s item. This is a special set of characters from the famous Bambi movie. They include Bambi, along with Thumper and Flower, each of whom are between 4 and 7 ½ inches tall. Another oldie Disney character is this 1930s Donald Duck figurine. Manufactured in Japan, it shows the iconic duck character playing a mandolin. These 1940s figurines are made of high-quality ceramic. 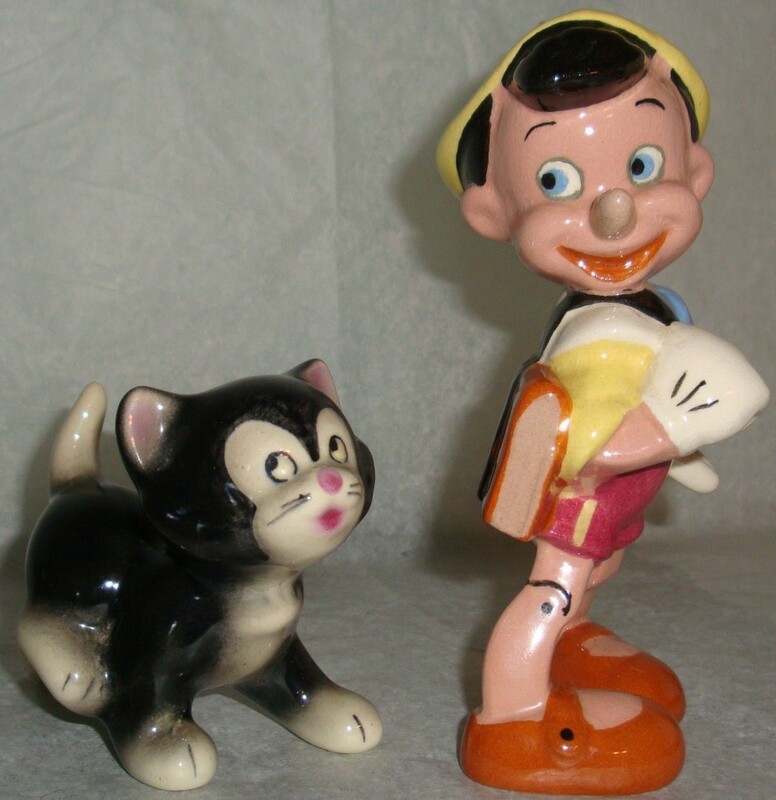 Here, Pinocchio is accompanied by his cat-friend Figaro. 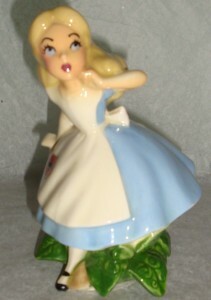 Another very fine 1940s figurine is this one, with Alice from Alice in Wonderland. Even though the item is more than 70 years old, it’s still in great shape – increasing its sought-after status from collectors. What is the value of the 101 Dalmations rare porcelain 1960’s 10 piece set today?